Dr. Vaughan: Are You Allergic to Your House? You probably think of your home as a safe place; your personal shelter from the dangers of the outside world. But, what if you learned that your house is filled with potentially hazardous toxins that can lead to conditions ranging from allergies to cancer? Clearly, this is not something you want to be true. In fact, it's human nature to want to avoid thinking about the invisible dangers that surround us. And, ignoring the possibility can be detrimental to your health. Consider this: Every year chemical companies in the United States manufacture over 6.5 trillion pounds of over 9,000 different chemicals and release over 7.1 billion pounds of 650 different chemical pollutants into the atmosphere and water. These chemicals, many of which have not been tested for safety, end up in our air and water. Many of them are also involved in the creation of common consumer products we bring into our homes. As a result, our bodies are filled with these toxins. And, a sad fact is that fetuses mature in a chemical soup in utero. Research has found that American babies are born with an average of 200 chemicals they receive through their mothers' umbilical cords. How full is your rain barrel? The staggering amount of chemicals in our environment and bodies is making us sick, but it doesn't always show up right away. Think of your body as a rain barrel, and your capacity to handle toxins is the size of your barrel. If your rain barrel is small, you'll become sick from exposure to chemicals rather quickly. If it's larger, it may take you longer to develop symptoms. But, all rain barrels overflow eventually. So the goal in reducing toxins is twofold. First, we want to slow down the volume of toxins “raining into our barrels” or put another way, reduce our exposure. Next, we need to pump the toxins out of the rain barrel, which means cleansing toxins out of the body. These two approaches will lower the total amount of toxins in your body. You're not going to get a completely empty rain barrel. We live in a polluted world, and we are polluted. But, keeping the level of toxins low will go a long way toward preventing symptoms of toxicity and potentially dangerous health conditions. You might be wondering just how big (or small) your rain barrel is—and if it's full. Well, there are clues as to whether a person's rain barrel is full. If you've experienced unexplained symptoms, your rain barrel is full. If, for example, you walk into places like Bed Bath and Beyond, Lowes or even the mall and feel sick, your barrel has already begun overflowing. However, you will only find out how big your rain barrel is once you identify how cleanly you have to live in order to function normally. If you are a chemically sensitive person defined as having a small rain barrel that is full, you will have to work harder than others at keeping your rain barrel levels low. Just know that you are not alone and you are not crazy. As you start exploring the effects of environmental chemicals on your health, a lot of things will suddenly start making sense. You'll begin to understand many health annoyances—like that runny nose that just will not go away. Most toxin buildup is insidious and accumulates slowly over time. However, any major exposure to chemical toxins will make you very sick very quickly. Because chemical toxins generally cause problems with the immune system first (and because they frequently enter the body through inhalation), many people with an unrecognized chemical exposure will initially experience allergic type symptoms. This is a contributing factor as to why there are so many children and adults with allergies and breathing problems. After the immune system is attacked, toxins will then move on to damaging other organs, frequently those that produce hormones and the brain. Over time, autoimmune disease such as Hashimoto’s Thyroiditis, neurodegenerative disorders like Parkinson’s Disease and cancer may result. Without any recognized chemical exposure, some people are sick for years. And, frustratingly, they are unable to find a cause for their symptoms. For instance, they might think a persistent runny nose and sinus congestion are due to allergies, but allergy testing might not reveal any significant reactions to allergens. If this sounds like you, and you've sought answers for your symptoms—and even undergone treatments for them, but your health has not improved—toxins may be to blame. And the place you're most likely to experience the greatest exposure to chemicals is your home sweet home. You might associate toxins with car exhaust or factory emissions. Those are definitely things that can contribute to your toxicity. Between industrial manufacturing, fossil fuel emissions, volcanoes and cremation, more than 48 tons of mercury are released into the air annually. And even though we no longer use leaded gas, the lead on the streets from previously used leaded gasoline infuses the dust and dirt all around us, so we're constantly breathing lead in. Homes, which were built before 1978 when lead paint was banned for use indoors, may be contaminated with lead in the dust and surrounding soil. Toxic metals are a double whammy. They not only damage your body but they cripple the detoxification system in your liver. So if you have metals on board, it takes even longer to detoxify daily exposure to chemicals. People with the most severe forms of chemical sensitivity have metals complicating their recovery. This list covers a lot of the items in your home and may seem overwhelming. However, there are easy ways to deal with most of these toxic objects. If you can do without certain things, such as dryer sheets, dry cleaning or odor eliminators (e.g. Febreze), stop buying them altogether. Otherwise, start with the small things, like replacing your cleaning, laundry and personal care items with equivalent non-toxic products. A good rule of thumb is to avoid anything with a fragrance. 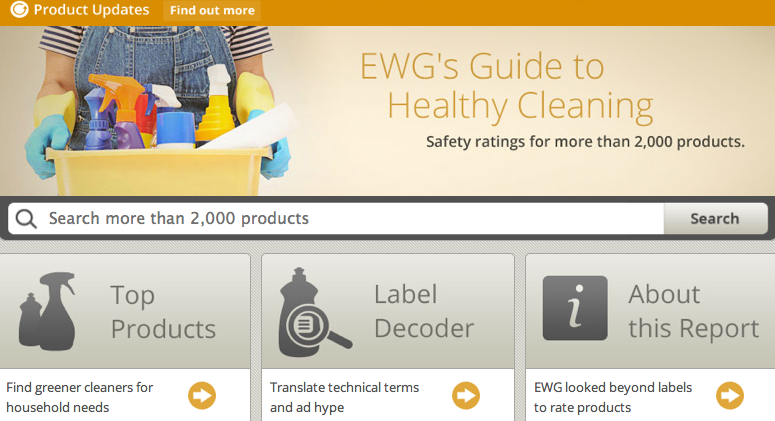 For a detailed shopping guide, visit the Environmental Working Group's product guides at http://www.ewg.org/guides. 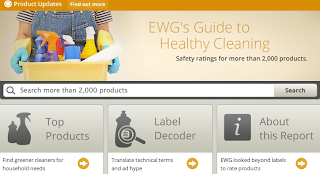 Their site ranks the toxicity of common household products, and it will allow you to search for specific products in its database or let you view them by category (e.g. air fresheners or floor care products). The site also contains a label decoder that will help you identify whether there are toxic ingredients in the products you buy. In learning to make substitutions, remember the importance of the food you eat. When at all possible, buy organic meats, dairy and produce so that you can limit your exposure to pesticides. Avoid processed foods and foods that contain colors and dyes. Never, never eat any food containing aspartame (e.g. NutraSweet) or Splenda. Use Stevia or xylitol from birch trees instead. Also be mindful of the things that come into contact with your food, such as plastic wraps, cookware and plastic containers and utensils. Plastic wraps can be replaced with wax paper; Teflon cookware can be replaced with stainless steel, ceramic and the "green" non-stick cookware; and plastic containers and utensils can be replaced with glass and stainless steel products. Remember another substance you ingest: water. Install reverse osmosis water filters throughout your home (or at least to the faucets in your kitchen, shower and bathroom sink). Remember, if you don't use a filter, you become the filter! And with all of the chemicals and pesticides in our drinking water, you don't want that. Some changes in your home will require a bigger investment and more dedication. So, over time, consider trading your gas stove for an electric one. You'll also need to replace any memory foam mattresses or pillows. The next time you paint your house, use only low-VOC paint. Avoid installing new cabinets and flooring, if you can. But if you must, seek out products that have undergone a more environmentally friendly production process. And, you'll need to either stop using your gas fireplace or have it removed. Other strategies for detoxing your home include adding more houseplants. Many houseplants absorb toxins. And open your windows as much as possible. Outdoor air is cleaner air, so even if you can only open your windows for 5 minutes, do it at least once a day—even in wintertime. Remember, we don't want to just stop the rain (toxins), we want to drain the rain barrel. The way to do that is through detoxification. The first step in clearing your body of dangerous chemicals is to ensure healthy bowel function. The liver produces bile 24/7 and more at mealtimes. Bile contains all the toxins that the liver has detoxified recently. If you're constipated, your body will reabsorb these same toxins from your bowels. (Up to 95% of toxins can be reabsorbed if your bowels are not moving things along properly.) So eat fiber-rich foods and take psyllium supplements and magnesium oxide, if necessary. Do not start a liver detox, until your bowels are moving at least one or two times daily. Drink lots of water. If you weigh 150 pounds, drink at least 75 ounces of WATER daily when detoxing. Calculate ½ your weight in pounds, then drink that many ounces of water daily. Next, you'll want to enhance your liver function because that's what will help clean the toxins out. Foods that are helpful for enhancing liver detoxification include berries, green tea, olive oil, broccoli and fish. Supplements derived from these foods, such as fish oil supplements and extracts of green tea and broccoli are also good alternatives. Herbs like artichoke leaf and dandelion root help the liver produce more bile to carry out the toxins. B vitamins and minerals are cofactors for every enzyme in your body. When your liver is detoxifying toxins, it needs a constant supply of these cofactors to keep the detox machinery running. Also helpful in assisting with detoxification are alpha lipoic acid, milk thistle or silymarin, Vitamin C and E and selenium. All of these are anti-oxidants or enhance the production of glutathione, your body’s most plentiful anti-oxidant. These also protect your cells as toxins move from deep in your cells out into your extracellular space then into the blood stream and on to your liver or kidneys. If you're considering fasting as part of your detox program, do it for less than 48 hours. If you exceed 48 hours, your liver will not have the enzymes it needs for proper detoxification, and you will continue getting sick. You should also avoid juice fasts like the Master Cleanse for more than 48 hours. These have no protein, and your liver requires a healthy amount of protein to rebuild the enzymes which do the detoxification. As an overall strategy for reducing toxins, it is important to learn to deal with stress. Many integrative physicians have observed that patients who are exposed to toxic chemicals during a period of stress tend to be more toxic than those who were going through a normal or relaxed period. This is likely because your body doesn't clear out toxins as easily when its producing lots of stress hormones. Other ways to clear out toxins include avoiding alcohol, quitting smoking, avoiding secondhand smoke, having silver dental fillings removed, undergoing colonics, exercising and spending time in a regular or infrared sauna. Most importantly, don't go through the detoxification process on your own. Consult with an environmentally trained physician or other health care provider so that you can remove toxins from your body in a safe, healthy way. The information in this post is based on the teachings of Dr. Walter Crinnion and materials provided by Thorne.